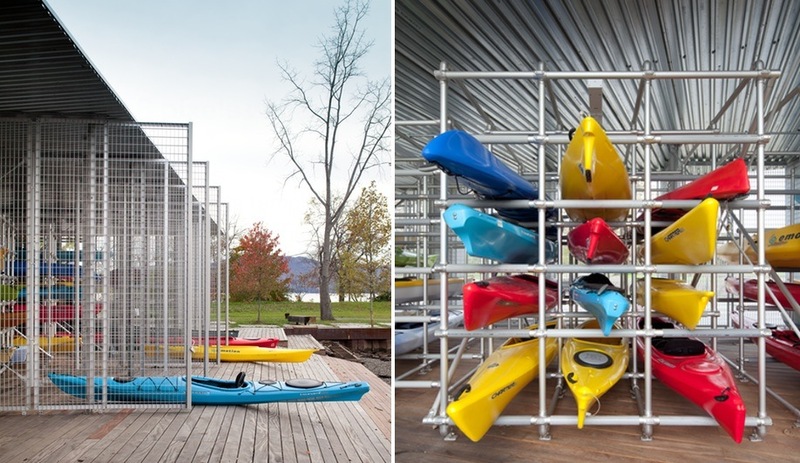 Architecture Research Office’s pavilion for kayak and canoe storage resonates with its natural setting. 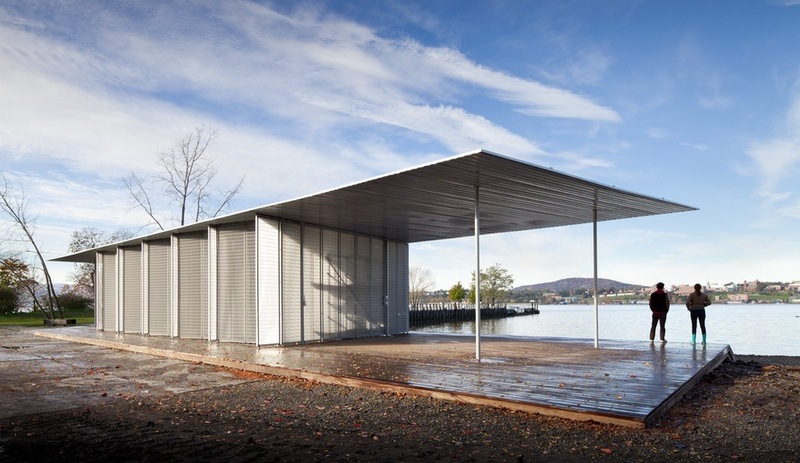 Situated in Long Dock Park, on a former industrial waste site in Beacon, New York, the pavilion consists of simple yet rugged elements – panels of aluminum bar grating topped with a corrugated steel roof – that seamlessly tie the riverbank to the built-up areas leading into the adjacent park. 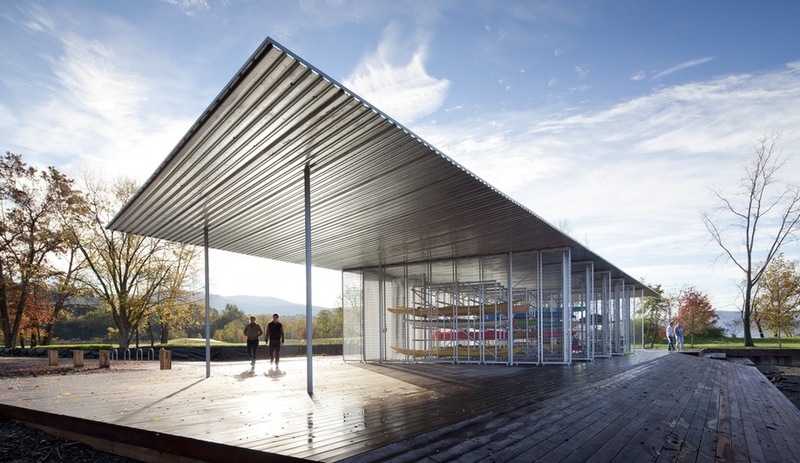 With the panels closed, the pavilion securely stores up to 64 kayaks and canoes, with space for a change room and additional storage. 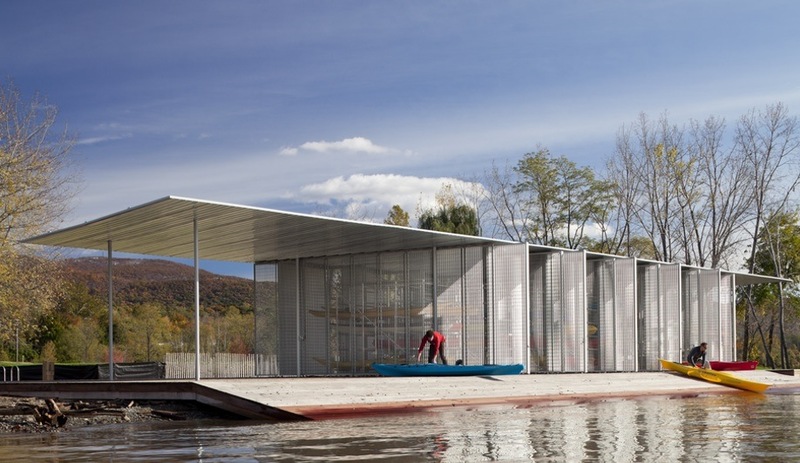 When the panels are open, the kayaks are pulled directly onto the expansive cumaru wood boatslip and into the river. 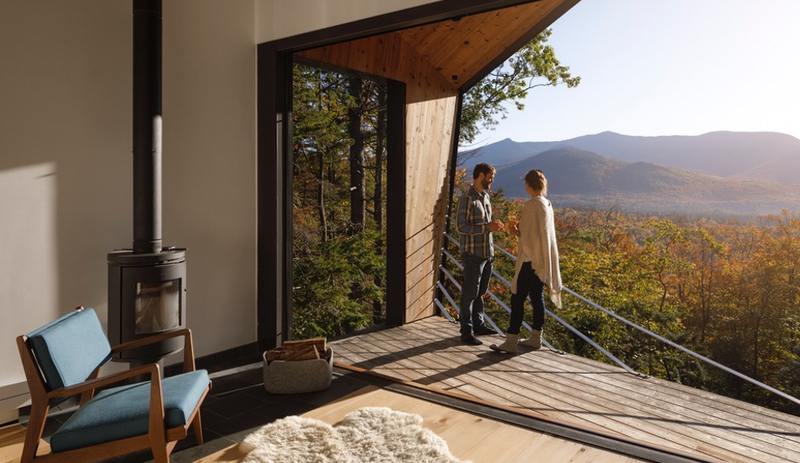 The roof’s massive overhang shelters the decking adjacent to the enclosure and creates space for enough solar panels to power the pavilion. 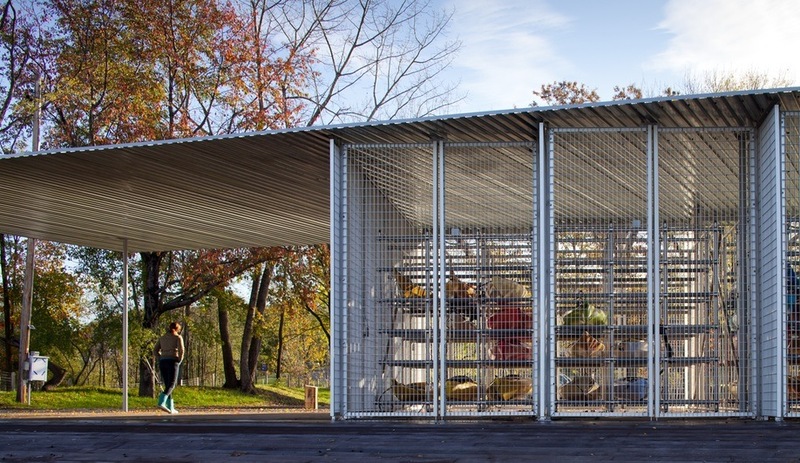 The PVs also offset the power consumption of the nearby education centre and other lighting used throughout the park. 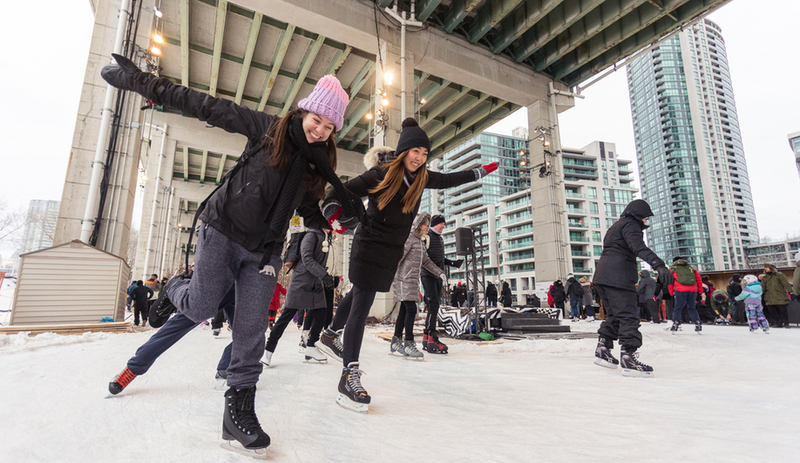 The pavilion sits on a man-made harbour originally meant as a ferry terminal, but in the intervening years the site has housed environmental hazards, including an oil terminal, a salt storage facility and a junkyard. 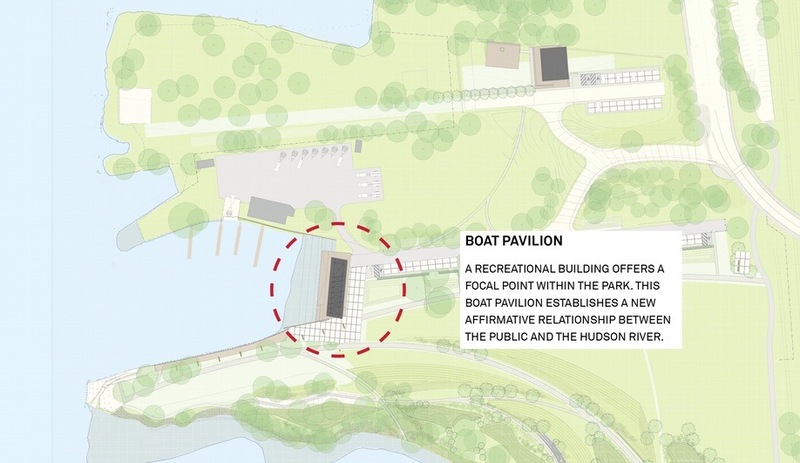 The project’s developer, the Scenic Hudson Land Trust, has removed all traces of these former uses as a part of the Sustainable Sites Initiative. 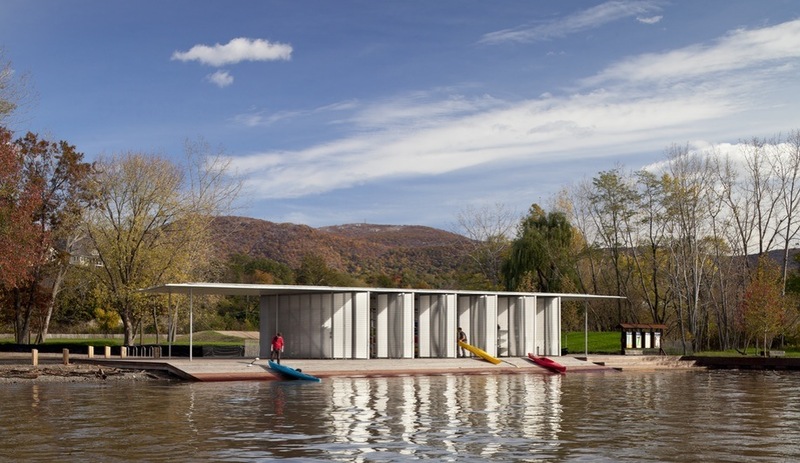 Their efforts to renew the habitat and transform the area into a purely recreational park have given the community improved access to the river, and put both park and pavilion on track to receive a LEED Gold rating. 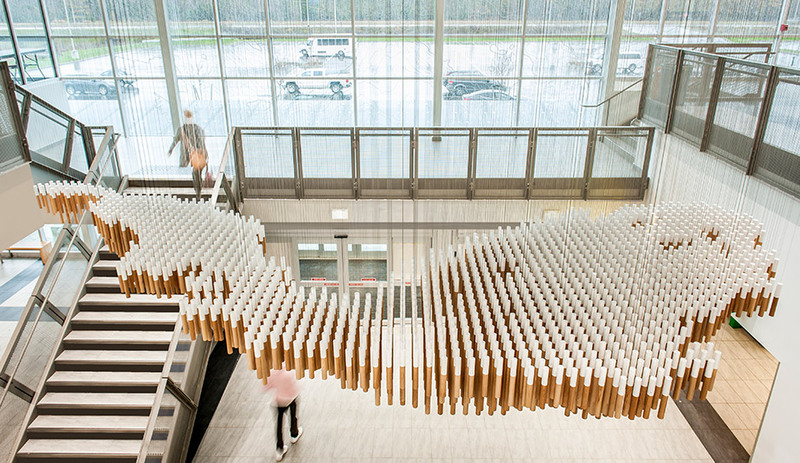 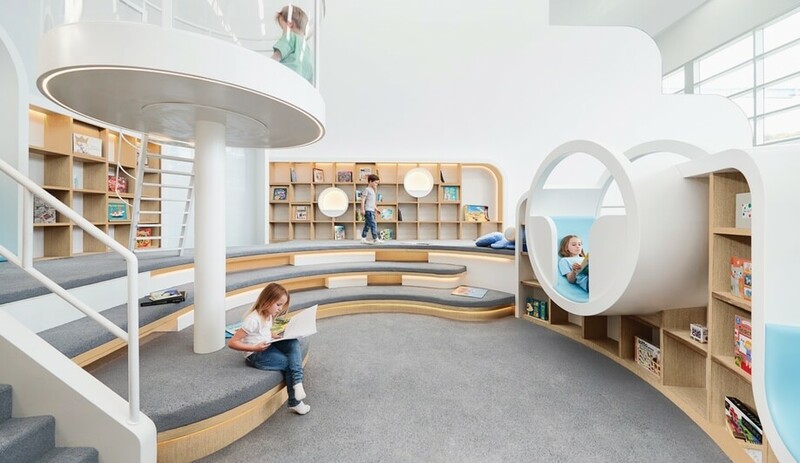 For all the winners of the AIA’s Institute Honor Awards for Architecture, visit aia.org.